Recent media reports in the Hindustan Times and Scroll.in have questioned the findings of the National Annual Rural Sanitation Survey conducted under the World Bank supported “Swachh Bharat Mission Support Operation”, questioning the sufficiency of the sample size and the adequacy of training of enumerators.These reports are factually incorrect, misleading and biased. 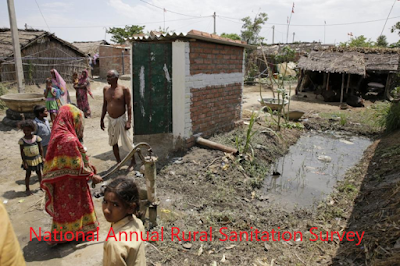 The NARSS 2018-19 is the largest independent sanitation survey in the country to data, with a sampling framework that covers more than six thousand villages, 92040 households, and 5782 schools, 5803 Anganwadi Centers, 1015 Public toilets and 6055 Public spaces,making itthe most representative sanitation survey in the country.The selection of villages, as well as households within each village is random, and statistically significant and the village, State and national level. The methodology and processes of the NARSS have been developed and approved by an empowered and independent Expert Working Group comprising leading experts on statistics and sanitation which include Prof. Amitabh Kundu, Dr N. C Saxena, World Bank, UNICEF, BMGF, Water Aid India, Ministry of Statistics and Programme Implementation (MOSPI), among others. This group has overseen and participated in the conduct of the NARSS, from questionnaire design to sampling to training of enumerators to the actual questioning in the field. The NARSS followed a robust quality assurance mechanism through accompaniment and back check of enumerators by their supervisors and members of the EWG, during and post the survey period to re-validate the data collected. Over 5% of the total sample was back checked to ensure that the findings are credible. This level of rigor and neutrality by external experts makes the NARSS data the most credible data available on sanitation in India. These media reports have used other statistically insignificant, non-representative and biased studies from varying time frames to cast aspersions on the findings of the NARSS. The report on Scroll.in has in fact quoted data from NARSS 2017-18 instead of NARSS 2018-19, misrepresenting it as the present sanitation coverage in rural India. It would have been appropriate for the authors to read the NARSS Protocol document,as well as the results of the survey from 2017-18 and 2018-19 which a reall available in the public domain, before making sweeping remarks on its methodology and robustness.